Located in Healdsburg, California, COOLWINE has been serving the wine country's industrial refrigeration needs for over 20 years. We specialize in state of the art winery automation, monitoring and control systems, as well as selling and renting specialty equipment and parts specifically designed for wineries and breweries. As a design/build contractor, we have 24 years of winery design and consulting experience. We understand our clients' unique needs and provide temporary and permanent refrigeration solutions which increase efficiency and quality of product. 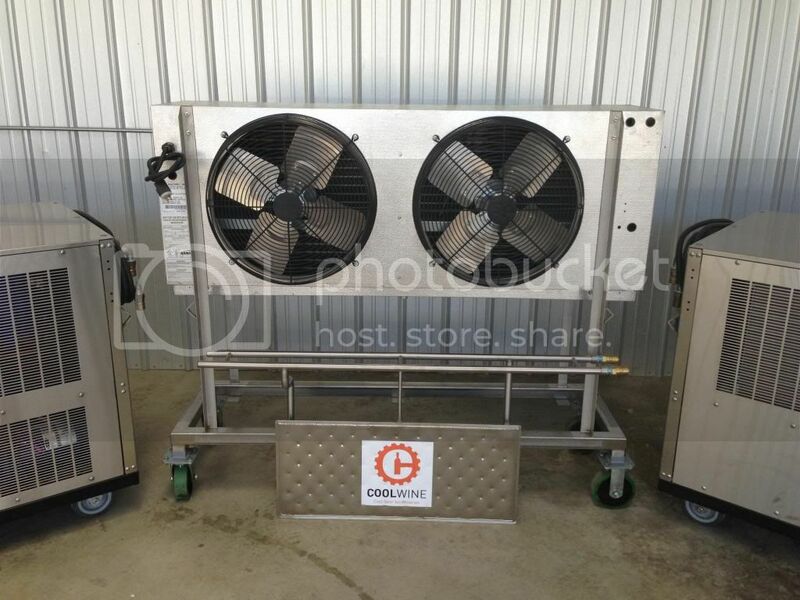 COOLWINE has the largest fleet of portable rental chiller/heaters in the U.S. We also sell and rent other specialty equipment such as glycol drop-in cooling plates for T-bins, and fan coils for heating or cooling barrel and bottling rooms. Our on-line store carries other custom high quality products such as industrial thermometers, pressure gauges, glycol hydraulic quick couplers, pneumatic and electric solenoid valves. Our goal is to be the best "one stop shop" for refrigeration equipment and supplies for the wine and brewery industry. 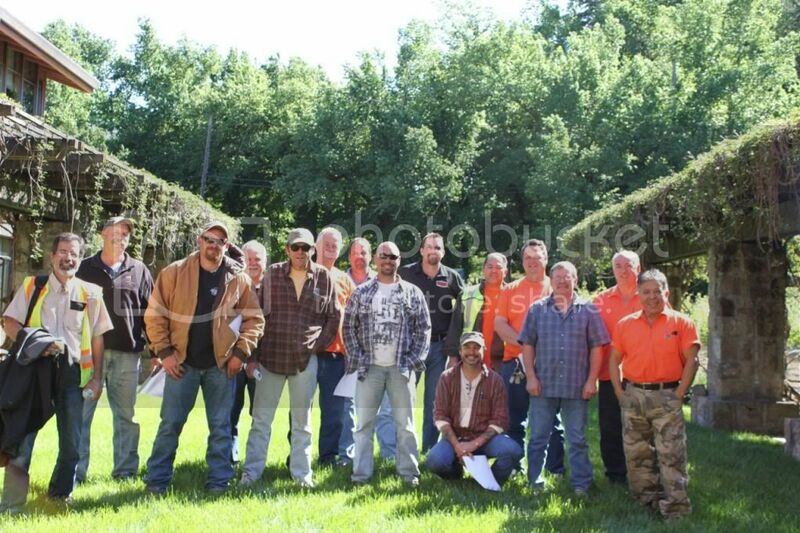 Our goal is to exceed our customers' expectations: every project, large or small. Fan Coils For Sale or Rent! Glycol Cooling Plate for T-bins for sale"
Reotemp Industrial Thermometer for Sale! Glycol Hydraulic Quick Coupling For Sale! Need Cooling & Heating Equipment For Your Facility? Single and Double Fan Coils are available for cooling or heating spaces such as barrel rooms and bottling rooms. Our Portable Fan Coils come in two standard configurations a Single Fan or a Dual Fan. Both operate on a standard 120Volt wall outlet and are thermostatically controlled to maintain your space. Our Fan Coils can be glycol fed from one of our Rental Chillers or from your In-House Glycol System if the capacity is available. CoolWine has designed and built a truck specifically to handle local deliveries and set-up. We carry all the required glycol hose, quick connect fittings, electrical plug cord ends, and glycol to get you up and running quickly! For most applications of hooking the portable chiller to Tanks and or Fan Coils we employ the industry standard ¾ Hydraulic Quick Coupler. Hoses are Female Connectors and the Chiller and all Tanks are Male Connectors. COOLWINE has the largest fleet of portable Fire and Ice units to assist wine makers with the ability to cool or heat one tank or a bank of tanks. These units are provided to large wineries for "Special Projects" or small wineries as their only source of heating or cooling. The units are equipped with wheels, quick disconnects, hoses for the glycol, and extension cord for the power. All service and maintenance included for duration of rental. The coil is portable just wheel it in to any space you would like to control the temperature. It's as easy as plugging into on off our fire & Ice Heater/Chillers or hooking up to your existing system. The fan can heat or cool a space to meet your demand. Rental Chillers Available for Harvest! Fire & Ice Units for Sale, Lease or Rent! Act now before they are all committed for harvest! Email rob@coolwinebiz.com or give us a call at 707-953-2426 and we can solve all of your wine temperature control needs! It's no secret that temperature control in wine production is vital, from fermentation to stabilization, to preparing your bottles for labeling. And while large scale wine production facilities or winery may have the ability to outfit their cellars with large scale stationary refridgeration units, many producers find this option beyond their budgets. Our portable Fire and Ice units assist wineries in giving the wine maker the ability to heat or cool one tank or a bank of tanks and without breaking the bank! Pair with a portable fan coil and heat or cool a room. Can be used to heat or cool one tank or a bank of tanks." Give your winemaker the ability to heat or cool one tank or a bank of tanks by renting a portable G&D fire and ice unit. They can help with a stuck fermentation, labels not sticking, and cold stablization. We provide all service and maintenance for the duration of the rental and have several voltage options available. The units are equipped with wheels, quick disconnects and hose for the glycol, and an extension cord. We have both single fan and double fan (Shown) Fan Coil Units for rent - Will maintain temperature of a Barrel Room or Cellar. We have T-Bin Plate Chillers available to precisely control fermentations in your bins. Send an email or give us a call at 707-953-2426 to learn more or to get a quote. Rent a Portable Glycol Chiller/Heater! Engineered Mechanical Systems has Fire & Ice Units for Sale, Lease or Rent! HEALDSBURG, Calif.--(BUSINESS WIRE)--A growing number of U.S.A. wineries that choose VinWizard are set to enjoy significant power savings. Power saving figures released by wineries in New Zealand and Australia suggest a new era in winery energy efficiency has arrived. Here are 2 examples from over 160 winery installations world wide that have theVinWizard winery control system installed. St Hallets, in Australia is processing approximately 3,000 tones annually and began using the load scheduling module in 2011. Prior to this, power consumption was significantly higher with maximum demand peaks of 500KVA. VinWizard load scheduling has allowed the winery to shift power consumption from the hot day hours to the cooler evening hours. This methodology yields less total KW used and each KW costs less at night. This coupled with some system modifications in the refrigeration plant have resulted in a 50% reduction in maximum demand and major power savings estimated to be in the range of 25-35%. Both wineries installed VinWizard tank temperature control several years ago. To achieve these savings, no additional hardware was required as load scheduling is programming logic. It slightly overchills selected tanks during off-peak hours and then automatically raises target setpoints during peak daytime hours. Alternatively, cooling can simply be paused during peak times to reduce spikes. The aim is to prevent chillers running unnecessarily during peak hours to cool wine that is in a non-critical state. In the evening energy is stored in the wine tanks in the form of cooler wine. This is done at a time of day when ambient temperature is lower so the refrigeration plant operates more efficiently (KW/Ton). It is after harvest that major power savings can be realized says Bob Richards, of Wine Technology International. Load scheduling is just one of several modules we offer. Our cold stabilization function is another that can drastically reduce power consumption without any impact on wine quality. When VinWizard is fully utilized to control both the tanks and the refrigeration system, power savings from 35% - 50% will be realized. In America the VinWizard system is supplied and supported by Robert Dehoney of Engineered Mechanical Systems (EMS). Robert recently travelled to Australia and New Zealand to visit several wineries including both St Clair and St Hallets. EMS strives to deliver the world’s best technology to wineries and VinWizard delivers exactly that. The great thing is, regardless of what tank control hardware a winery may already have, VinWizard software can be installed over the top and deliver incredible savings. Are you looking to prevent condensation build-up during your bottling and labeling? The team at EMS knows winemaking and is the perfect combination of products and service. Cooling: 3 Tons of refrigeration or 36,000 BTU/Hr. Heating: 12.5 KW Heater or 42,650 BTU/Hr. If have wine cooling equipment at your winery the Unified Wine and Grape Symposium is a perfect opportunity for you to stop by the EMS booth (#1011) to see the next generation of refrigeration control equipment. You will see for yourself that the new VinWizard system is a huge leap forward in computer controlled fermentation. And you can do all this from any location, at any time, from your iPad or smartphone. See you in Sacramento January 25 and 26! These portable Fire and Ice units assist wineries in giving the wine maker the ability to heat or cool one tank or a bank of tanks. For more information & pricing, please contact Robert Dehoney at 707-953-2426 or CLICK HERE for an email link. For more information & pricing, please contact Robert Dehoney at 707-953-2426 or CLICK HERE for email link. Watch VinWizard’s NEW Video to See Their Control Systems in Action! Engineered Mechanical Systems has partnered with VinWizard to provide local installation, service and support for their control systems. VinWizard™ is a remotely accessible system providing winemakers with an integrated software and hardware solution to precisely manage wine ferments. It conveys two main benefits of efficiency and risk management. The system allows vintners to specify and enforce precise conditions for fermentation, maintain detailed records of inputs and outputs for subsequent analysis and clearly demonstrate label integrity. Efficiencies result from minimizing winery running costs through innovative monitoring and control of plant and machinery. Engineered Mechanical Systems provides ammonia specific OSHA Hazardous Material Training per the Code of Federal Regulation 1910.120.Q. This training focuses on improving core knowledge of refrigeration and in depth analysis of specific ammonia systems. Robert Dehoney is certified by the Ammonia Safety Training Institute (ASTI) at the Incident Command Level. Robert has trained a very diverse spectrum of people involved with ammonia systems: from deck hands on Alaskan fish processing vessels, the State of Louisiana Environmental Enforcement Agency, Portland, Seattle, Berkeley, and Napa Fire Department HazMat teams, to multiple large wineries. Engineered Mechanical Systems has partnered with VinWizard to provide local installation, service and support for their control systems. The VinWizard system is internationally recognised as a proven leader in the field of winery automation, monitoring and control. The company was established in 1996 and has developed considerable experience and an enviable reputation in the wine industry. For over 15 years we have worked with winemakers around the world in the development of this renowned system to help winemakers consistently make premium wine and minimize running costs. Refrigeration and Glycol Systems Specialists Join Wine Industry Network! Engineereed Mechanical Systems - based in Healdsburg, CA - has been serving the Wine Country's Industrial Refrigeration needs for nearly 20 years and has now joined the Wine Industry Network. Specializing in refrigeration systems and glycol systems for the wine industry and food & beverage industry, we pride ourselves on our experience and customer service. Call us for more information. North Bay Wineries: Cooling Relief for your Wine! For more information & pricing, please contact COOLWINE at 707-953-2426 or CLICK HERE for email link. Engineered Mechanical Systems provides ammonia specific OSHA Hazardous Material Training per the Code of Federal Regulation 1910.120.Q. This training focuses on improving core knowledge of refrigeration and in depth analysis of specific ammonia systems. Robert Dehoney is certified by the Ammonia Safety Training Institute (ASTI) at the Incident Command Level. Robert has trained a very diverse spectrum of people involved with ammonia systems: from deck hands on Alaskan fish processing vessels, the State of Louisiana Environmental Enforcement Agency, Portland, Seattle, Berkeley, and Napa Fire Department HazMat teams, to multiple large wineries. See below for complete list of trainees. These classes are a time to review and learn regulation as well as understand each person's tasks and abilities.